This open-air festival boasts quality, eclectic music. 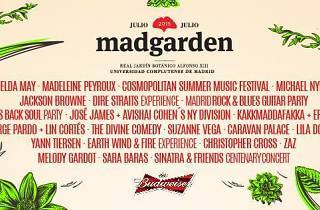 The second edition of the Madgarden Festival brings music to the Alfonso XIII Royal Botanic Gardens in Madrid's Universidad Complutense nearly every day of the month of July. 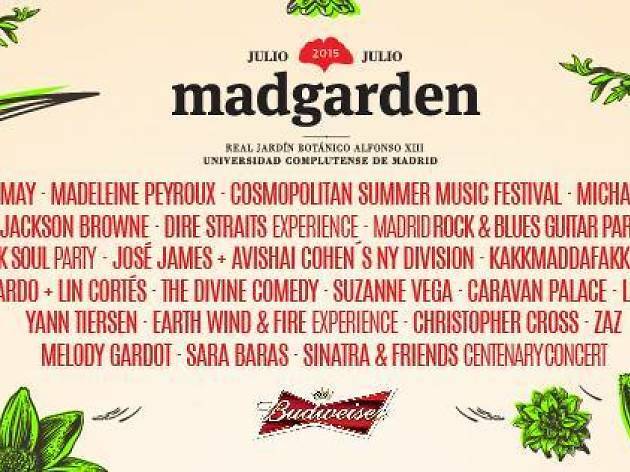 Rock, jazz, soul, flamenco... acts playing styles for all types of music fans take the stage at Madgarden, including Imelda May, Zaz, Suzanne Vega, Jackson Browne, Avishai Cohen and his NY Division, Michael Nyman, Yann Tiersen and Kakkmaddafakka, among others. Also, this year the Black is Black Soul Party brings together five soul bands (Vintage Trouble, Lisa & The Lips, Sonny Knight & The Lakers, Myles Sanko, and Hannah Williams & The Tastemakers).